1 x Humbrol acrylic paint pot. Dirty Black (Matt). 1 x Humbrol acrylic paint pot. Crimson Lake (Matt). 1 x Humbrol acrylic paint pot. Garter Blue (Matt). 1 x Humbrol acrylic paint pot. GWR/BR Green (Matt). 1 x Humbrol acrylic paint pot. Buffer Beam Red (Matt). 1 x Humbrol acrylic paint pot. BR Yellow (Matt). 1 x Humbrol acrylic paint pot. Apple Green (Matt). 1 x Humbrol acrylic paint pot. Malachite Green (Matt). 1 x Humbrol acrylic paint pot. Maunsell Green (Matt). 1 x Humbrol acrylic paint pot. Diesel Blue (Matt). 1 x Humbrol acrylic paint pot. BR Coach Roof Grey (Matt). 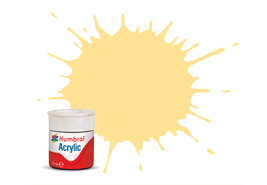 1 x Humbrol acrylic paint pot. Engineers Grey (Matt). 1 x Humbrol acrylic paint pot. Executive Dark Grey (Matt). 1 x Humbrol acrylic paint pot. Pullman Umber Brown (Matt). 1 x Humbrol acrylic paint pot. Pullman Cream (Matt). 1 x Humbrol acrylic paint pot. Coach Roof Off-White (Matt). 1 x Humbrol acrylic paint pot. EWS Red (Matt). 1 x Humbrol acrylic paint pot. EWS Yellow (Matt). 1 x Humbrol acrylic paint pot. Orange Lining (Matt). 1 x Humbrol acrylic paint pot. Virgin Red (Matt). 1 x Humbrol acrylic paint pot. Intercity Grey (Matt). 1 x Humbrol acrylic paint pot. Carmine (Matt). 1 x Humbrol acrylic paint pot. BR Cream (Matt).